The year I was born, 1990, the Atlanta Braves finished dead last in the National League West Division. The next year, they finished first, finding their way into the World Series. This began one of the greatest feats in sports history. It wasn’t until I was sixteen years old did the Braves not win their division. 14 straight division titles. It was all I knew as a kid. I had few memories of Atlanta-Fulton County Stadium. One of which was Game Six of the 1995 World Series. I witnessed David Justice hit a solo home run. I witnessed Mark Wohlers get Carlos Baerga to flyout to Marquis Grissom to win it all. I was also there August 2, 1997. The day the stadium came crumbling down. I was seven years old. And when it fell, I felt the ground shake under me. I understand it though. I understand why it had to fall and why there was a new stadium. The stadium was a little over thirty years old and it wasn’t as modern as some other ballparks. Enter Turner Field. So many memories there. The 2000 All Star Game and Home Run Derby. I was there. I watched Sammy Sosa nearly hit SkyField. I saw some of the greatest baseball players in the world all play on the same field. I watched #10 roam the third base line and terrorize pitchers from both sides of the plate. I watched #6 get ejected numerous times as he fought for his players, all the cheers and chants of “Bobby! Bobby! Bobby!” I saw both of those men have their numbers retired. I’ve been a part of a Chop that I thought would never end. I can still hear the echoes. I’ve seen the view of the majestic Atlanta skyline at sunset from the upper deck. Words cannot accurately describe its greatness. And now, today, the Braves have announced that Turner Field will soon be ONLY be just what I described. A memory. From the business of baseball perspective, I get it. I do. The maps don’t lie. Season ticket Holders live up north, throughout Cobb, North Fulton, and Gwinnett. There is no denying that. The Braves do not currently own the parking lots surrounding the stadium, and the Braves have a rather weak television contract. And the Braves have very little appeal surrounding the stadium. There is no nightlife. There are no restaurants. I get it. While the move north won’t ease traffic all that much, nor will it be easily accessible to MARTA, it makes sense. But the stadium itself is good, right? For the most part yes. It would need upgrades of seats and lighting. I mean it is approaching 20 years old. Every stadium needs a bit of a facelift. And then of course with those upgrades come other things to enhance the fan experience. Eventually, these things add up. I’ve seen estimates of a number between $100-$200 million. When the Braves move, the new stadium will cost roughly $650 million. A lot of that will be publicly funded. Whether or not you agree with that, the Braves really only foot about a $250 million bill. Not all that much more than those upgrades would cost anyways. And now they can can get closer to season ticket holders, and have a new state of the art facility. 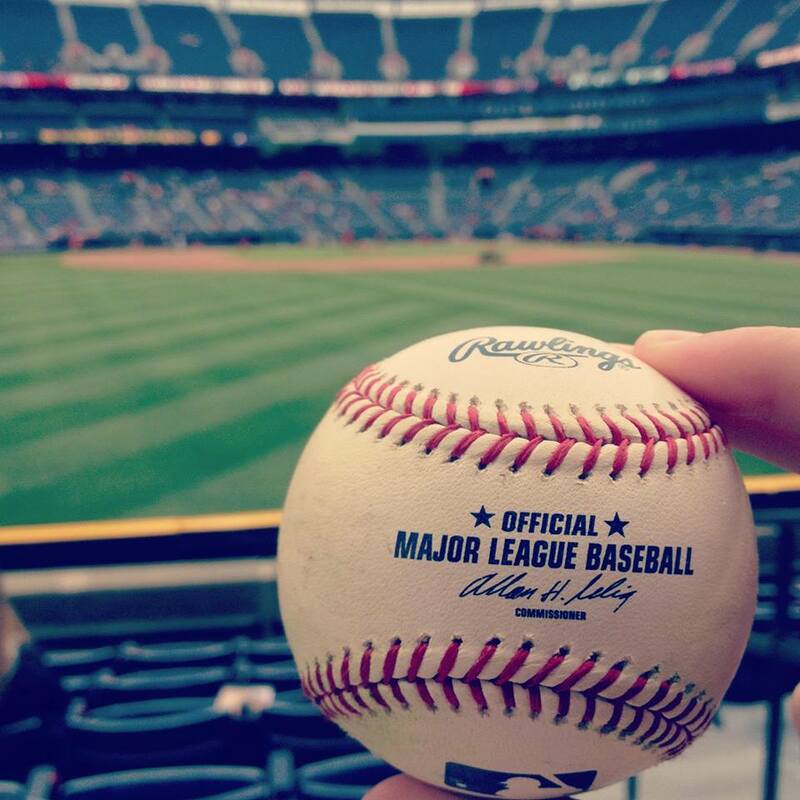 In the end, the Atlanta Braves will more than likely see an increase in revenues. And hopefully because of that will be able to put a better product on the field. So i get it, from a business standpoint. And I think it probably is the right move (unless of course this is a GIANT bluff to try and get the city of Atlanta to work with them, but I doubt it). But from a native-Atlantan standpoint, it hurts me. Three stadiums in my lifetime. I’ll be twenty six when the new stadium opens. Our city lost a hockey team, not once, but twice. And now the city loses baseball. Sure they will only be 10 miles away, and yes they will still wear “Atlanta” across their chests, but it will be different. Atlanta already gets a bad rep as a sports city and this doesn’t seem to help much. I’ll still attend the games when Im in town, and I’ll still pull for the Braves. But it will feel weird cheering for Atlanta’s team, when really they won’t really be Atlanta’s team anymore. Of course I am sad to see them go, and of course I’ll miss Turner Field. It will be a new era of Braves Baseball. Gone are the nights of leaving the stadium walking under the bridge as some guys play drums on their buckets. Gone are the the local businessmen and women selling water and peanuts out of a cooler for a buck. Gone are the long walks up Capitol Ave which seems endless. Gone are the masses of people lined up to get on the MARTA shuttle. These are the things most people think that paralyze the Braves and their stadium environment. But to me, THAT is Atlanta. Sure there aren’t bars and hotels and restaurants right there, but that’s okay. It’s Turner Field. It’s Braves Country. That’s all I need. I’ll chop till the day that I die, whether that is in Marietta or nestled between Cabbagetown and Grant Park. But I’ll never forget the memories and times I spent at Turner Field. Nothing can take that from me. Goodbye Turner Field, you will be missed. Onward to a new place and a new era of Braves Baseball. But regardless of the stadium or the neighborhood, or the surroundings, we will forever be, Always Brave.